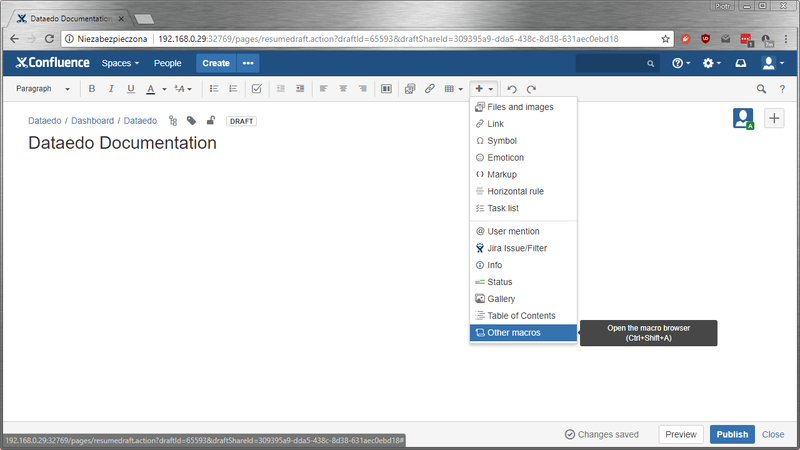 Dataedo 6 has a Confluence-friendly HTML export that you can embed in Confluence page. 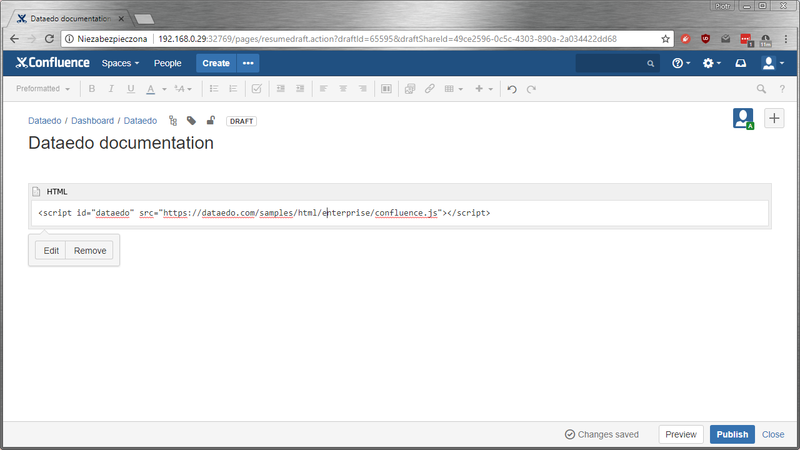 Confluence enables embedding external HTML in its pages. 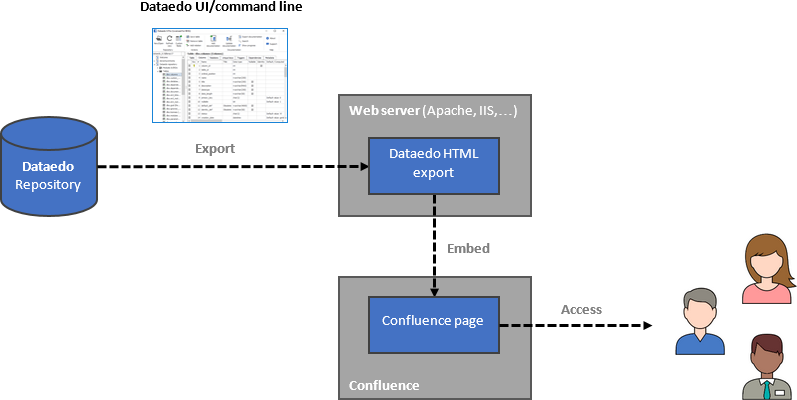 The disadvantage of this approach is that it requires separate web server to host Dataedo export HTML. Publishing documentation on a web server. 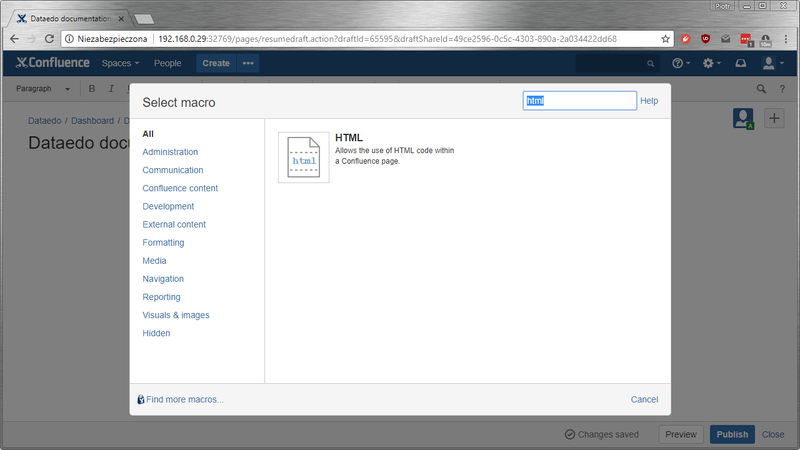 To embed Dataedo documentation in Confluence, first we need to enable HTML macros. 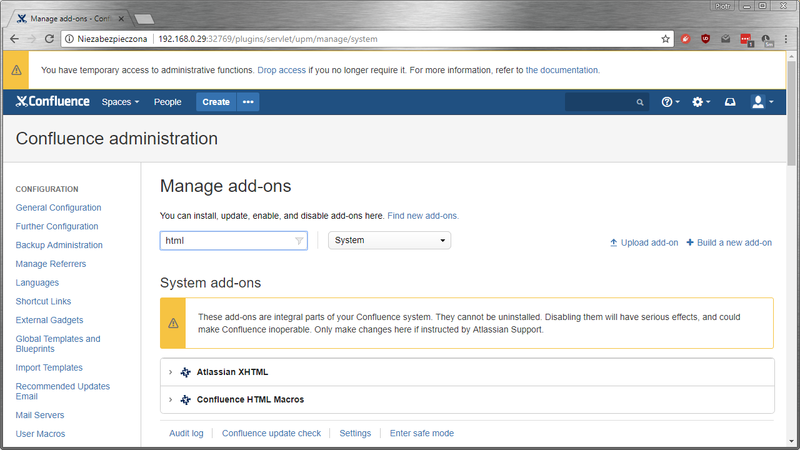 Open Configuration pane in Confluence (you'll need administrator access), and click Manage add-ons on the list. Type html in the add-on searchbar and set filter to system add-ons. 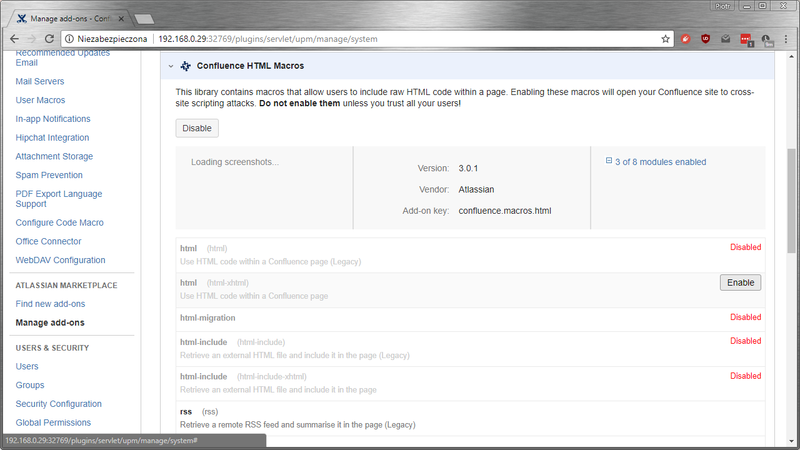 Expand Confluence HTML macros. Find and enable html-xhtml macro and enable it. On a new page, click the plus icon and from the list choose Other macros. Type html in the searchbar and double click the macro. 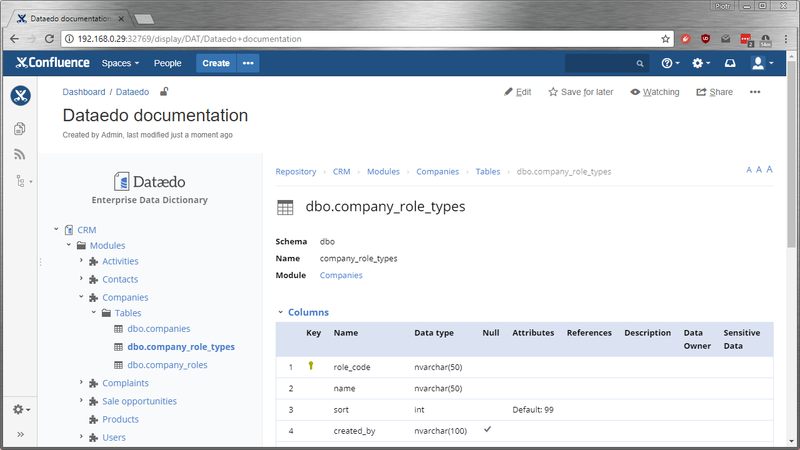 In the new box visible on the page, paste the script below, substituting the path of your documentation for https://dataedo.com/samples/html/enterprise/. Click the Publish button and your documentation's ready. If your documentation needs to be updated just overwrite your previous documentation on the web server with the new one. No changes are required in Confluence.